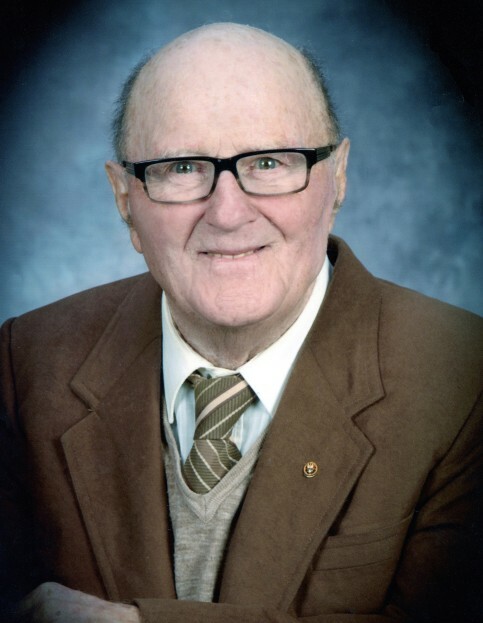 It is with great sadness that we announce the peaceful passing of our beloved father Denis O'Brien on Tuesday, April 3, 2018 at the age of 90 years Denis is survived by his sons Jerry (Jaye) and Michael; his daughters Mary Margaret, Eileen, Teresa (Brian), and Sheila; his grandchildren Meagan (Shawn), Marissa, Jerem, Ellen and Evelyn; his great grandsons Daniel and James; his brother Jeremiah (Beckie) in Ireland; and many other relatives in Ireland, England, Canada and the United States. Denis was predeceased by his loving wife of 49 years, Ellen Mary, his parents Jeremiah and Margaret, brothers Sean and Michael, and sisters Nellie and Margaret. Denis was born in Ballybawn East, Co. Cork, Ireland on April 7, 1927. He was the second of six children and went to Derreenard National School until the age of 16. He helped his family farm their land and assisted his father by cutting turf from the bog and with carpentry work. He apprenticed as a carpenter and beginning at the age of 19, he worked for John Sisk & Sons in Co. Waterford, Ireland. He held a Journeyman Carpentry Certificate in Ireland and Canada. In 1950, Denis decided to emigrate to Canada to follow his brother Sean and Uncle Dan. On March 12, 1950 he sailed from Cobh aboard the Cunard Liner “The Franconia” and landed at Pier 21 in Halifax, N.S. on March 21, 1950. He spent a number of years working in Camrose and Wetaskiwin along with his brothers Sean and Michael, before moving to Calgary. In 1954, on a visit home to Ireland, he met his one true love, Ellen “Mary” O’Donovan. Mary emigrated to Canada aboard the R.M.S. “Ivernia” and they were wed at St. Joseph’s Catholic Church on November 26, 1955. They remained a devoted loving couple for 49 years until Mary’s passing in 2004. Denis and his brother Sean began building the family home in the Rosemont / Cambrian Heights Community on the May long weekend in 1957 and that’s where Denis and Mary raised their six children. Denis resided in the home he lovingly built with his own hands until his passing. After the children were grown, Denis and Mary were able to enjoy travelling to many destinations around the world including South America, Australia, New Zealand, Cuba, Europe, Scandinavia and Ireland. They spent many wonderful hours travelling across Canada and the U.S. in their R.V. Denis and Mary were involved in many activities, such as square dancing. They were proud to dance in the Opening Ceremonies of the 1988 Calgary Winter Olympics and were delighted to attend the World Conference of Square Dancing in Christchurch, New Zealand. Denis and Mary were also wonderful ballroom dancers. Denis had a love of music especially the songs from his homeland. At the age of 15, Denis bought a fiddle for two pounds and after teaching himself, he continued to play for 75 years. He learned to play the button accordion at an early age as had his mother. He also played the piano accordion. He sang in the Canadian Martyrs Parish Choir, the Irish Cultural Society Choir and in a volunteer music group “Your Celtic Friends” which they formed with dear friends, Anne and Martin Cowman. They entertained seniors with Irish music and stories for many years and entertained in the annual Water Valley Irish Music Festival. Denis also enjoyed playing the fiddle for his granddaughter Meagan to accompany her while Irish dancing. Denis joined the Knights of Columbus in March 1951 and held many positions throughout the years and was especially proud to have been on the Honour Guard for Pope John Paul II when he visited Canada in 1984. Denis remained a member until his passing. Denis was an amazingly accomplished man who deeply loved his wife, children, grandchildren and great-grandchildren. He had many friends and always enjoyed telling the stories of his life, his family, his travels and his early years in Ireland. Denis was a devout Catholic with an unending faith in God, Jesus Christ and in life everlasting and he passed peacefully with family at his side to be reunited with his wife and his family that passed before him. He will be greatly missed by his family, friends and all that had the good fortune of knowing him.